Acero Health Technologies provides leading-edge software products for healthcare administrators, with specific strengths in solutions that support and streamline the adjudication and management of Consumer-Driven Health (CDH) and related products. We address the evolving needs of the healthcare insurance industry by delivering integrated, cost-effective solutions that leverage administrators' existing infrastructure investments. To do so, we provide real-time access to accurate and timely information for clients, consumers, employees and partnering organizations — and at the same time, deliver significant operational efficiencies for a variety of functions within the organization. 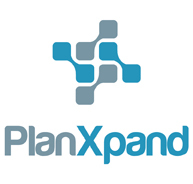 Most importantly, our PlanXpand™ solutions integrate tightly with our clients' systems and processes — leveraging standard interfaces and customizable configurations. Please contact us to learn more.